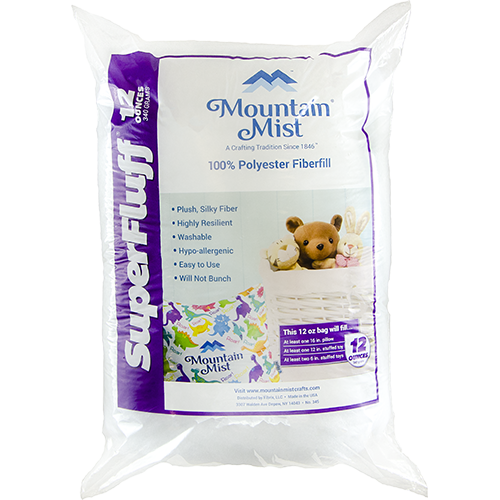 Mountain Mist fiberfills are formulated to fill each project with pride. Choose Fiberloft® when needing a dry packaging fiber or choose Ultra Fluff® when needing a plush fiber that will give any soft toy the huggable factor. A Touch of Silk® fiberfill is the option for those projects that need a touch of elegance. Select Eco-Craft™ Eco-Friendly Fiberfill when looking for filler products with the performance of synthetics fibers and the peace of mind of natural materials.